Posted on November 5, 2012 by Konstantin Kovshenin. 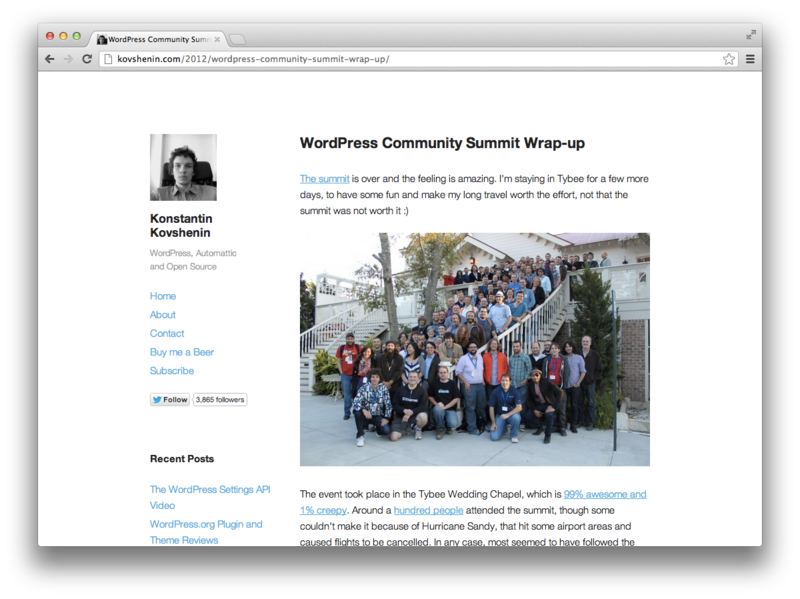 This entry was tagged themes, WordPress. Bookmark the permalink. Looks very nice, it is simple clean, will try it when I reach home. Really clean and simple. 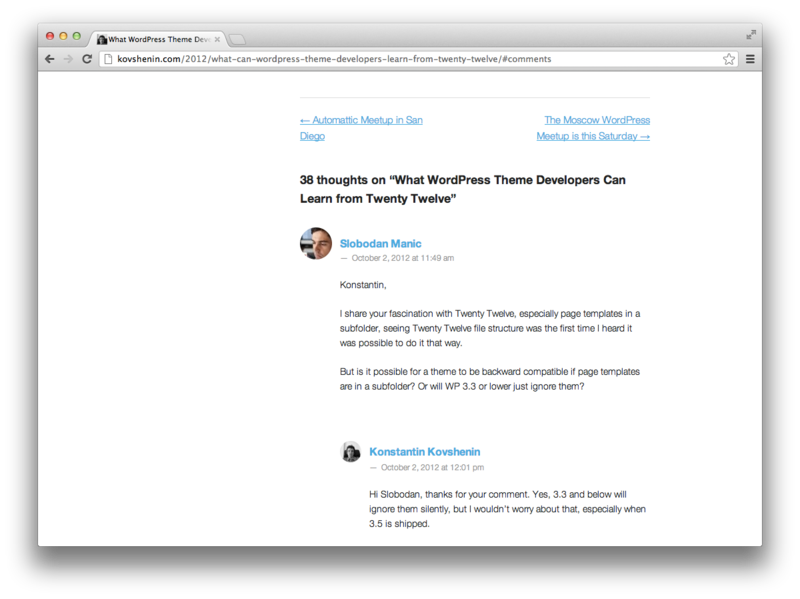 You’ve done a great job making it really readable too; something which (ironically) a lot of blog themes lack. Thanks Shane, glad you love the theme. Appreciate your feedback! Very nice and pretty clean. Like! Hey Kaiser, thanks for your feedback, glad you like the theme. The gallery is a known issue in Jetpack Carousel and will hopefully be fixed in the coming updates. Thanks for the heads up! Simple and clean. Love it! 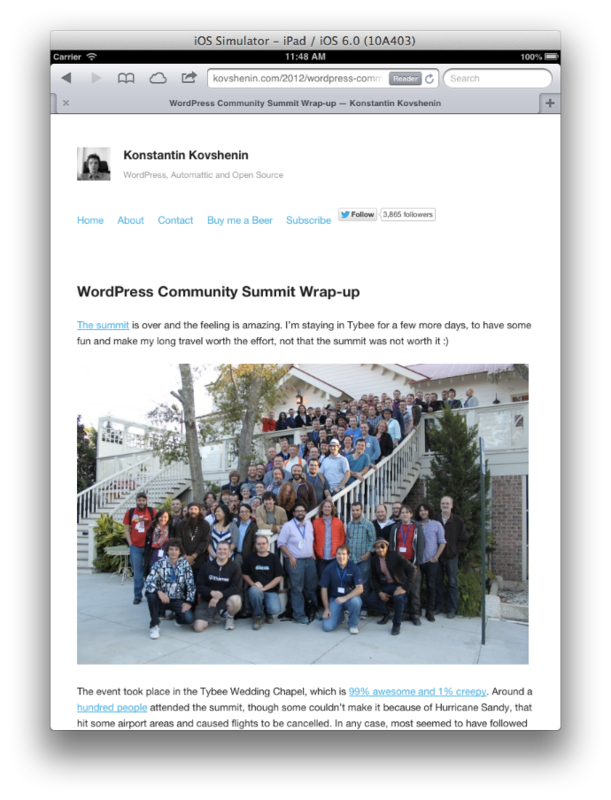 Great job, Konstantin! I’ll try it out on my blog later today. Hey Sean, glad to hear you like the theme. Thanks for your comment! Probably being stupid, but I can’t figure out how to change the logo? Let me know if this helps! Thanks. Nice theme, Love the content-focus taste. Thank you for sharing..
You’re welcome Sulistyo, glad you like it and thanks for your comment! 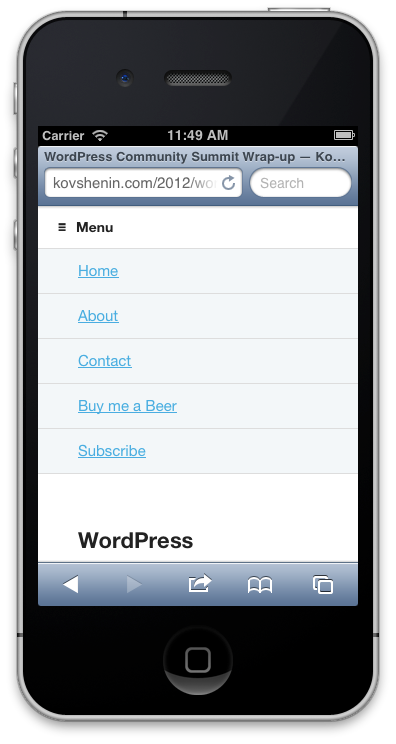 Great theme, but it overrides my images width + heights, using the real proportions. Is there a solution for this? Can I erase some code from one or another file? I’d love to use your theme since it is even more minimal than the one I use now. Hope you have a solution for this image problem (I am not using the image gallery, I use ftp). Thank you Alfred! 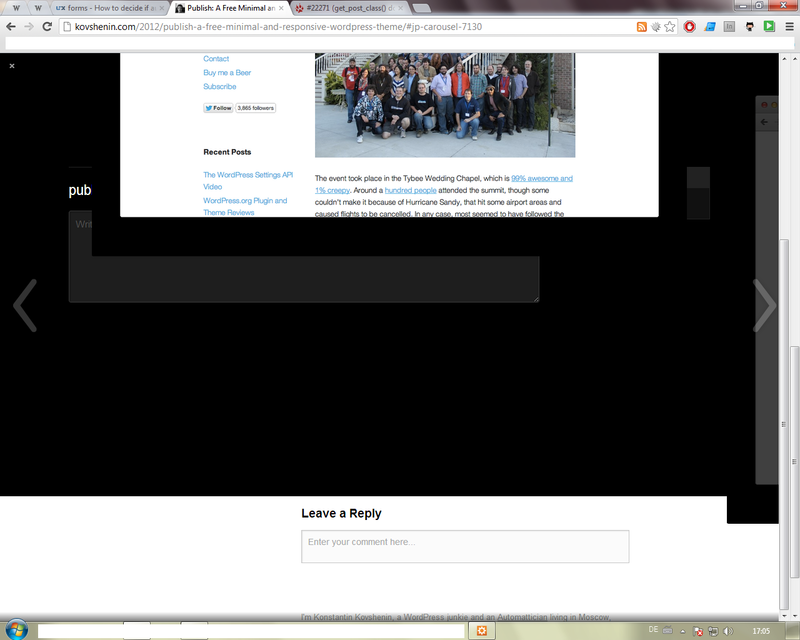 If the theme is breaking your images, perhaps it’s a bug with the theme which I should sort out. Contact me via Skype (kovshenin) or e-mail (kovshenin at gmail dot com) with the URL and a detailed explanation of the problem. Thanks! Thanks for responding so fast! I will contact you through gmail and send you some screenshots, since I can’t run your theme live right now (for my visitors).